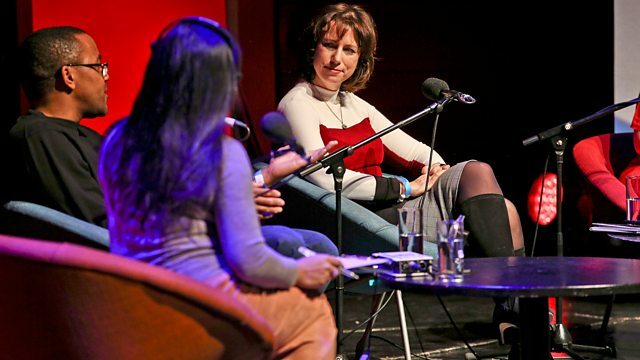 BBC Radio 3 - Free Thinking, 'Calm Down Dear' - How Angry Should Politics Get. Dr Fern Riddell, Kehinde Andrews, Will Davies & Jo Ann Nadler join Shahidha Bari at the Free Thinking Festival. Prime Minister David Cameron was accused of sexism when he put-down an impassioned female MP. But what is the role of anger in politics and campaigning - from suffragism and black activism to Brexit? What does it mean to feel that your political position is righteous? At a time of rising tempers among electorates, should we all “calm down - or harness our rage? Kehinde Andrews is Professor of Black Studies at Birmingham City University. His books include Back to Black: Retelling Black Radicalism for the 21st Century and Resisting Racism: Race, Inequality and the Black Supplementary School Movement. He writes for The Guardian, Independent and Ebony Magazine. Dr Fern Riddell is a historian and New Generation Thinker whose latest book Death In Ten Minutes, is about the Suffragette bomber and birth control activist, Kitty Marion. She writes for The Guardian, Huffington Post, Times Higher Education, The Telegraph and BBC History Magazine and was a consultant for BBC’s Ripper Street, Decline and Fall and ITV2’s TimeWasters. Will Davies is a political economist at Goldsmiths, University of London and co-director of the Political Economy Research Centre. His books include Nervous States: How feeling Took Over the World and The Happiness Industry: How the government & big business sold us well-being. He has written for The Guardian, The New Statesman and The Atlantic. Jo Anne Nadler is a political journalist and former producer/reporter on BBC Political Programmes. She has been a Conservative councillor in the London borough of Wandsworth and her books include William Hague - In His Own Right and Too Nice to be a Tory. Podcast: 'Calm Down Dear' - How Angry Should Politics Get?